Operate a fast Tor relay that's been running for the past two months: you are eligible if you allow exits to port 80 and you average 250 KBytes/s traffic, or if you're not an exit but you average 500 KBytes/s traffic. Help out in other ways. Maintain a translation. Write a good support program and get a lot of people to use it. 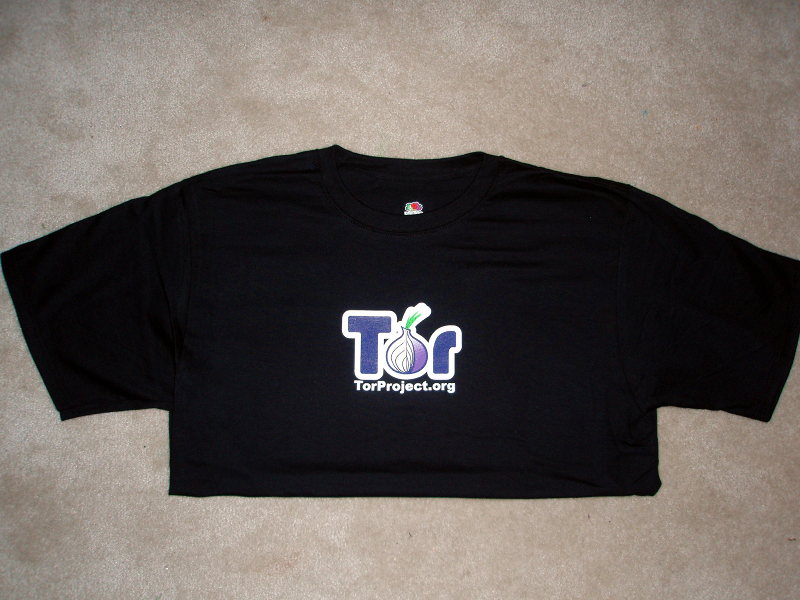 Do research on Tor and anonymity, solve some of our bugs, or establish yourself as a Tor advocate. 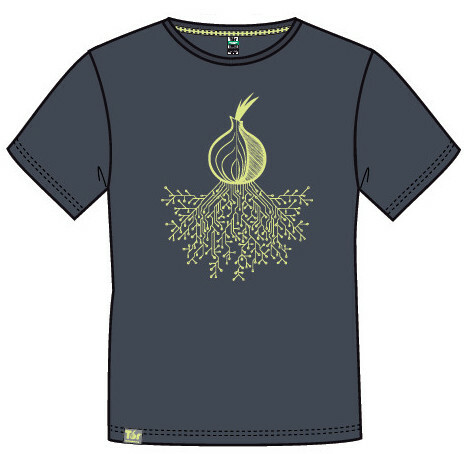 There are a variety of colors, shapes, and sizes available in the great roots design that Leiah Jansen made for us, as well as some older designs. In the past, you could choose between the traditional black and our conversation-starting bright green. 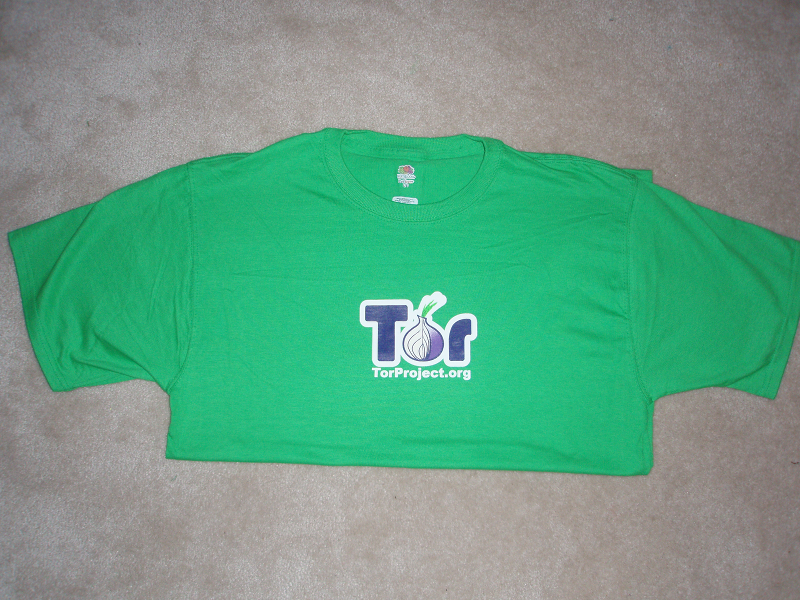 We'll bring those shirts back one day too. You can see the shirts in action — add your own photos there too.